Harold’s Cross gets its name, according to F.E. Ball in his History of County Dublin, from a cross erected to mark the extent of the lands of the Archbishop of Dublin and to warn the Harold family of Rathfarnham not to encroach. Harold’s Grange is named after the same former Viking family. 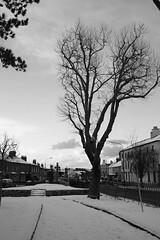 The Cross is located in the ancient parish of St. Sepulchre on the road to Rathfarnham. Due to its relatively high position relative to Dublin, it was considered a place of resort from the miasma of the city, and many people from the city came to Harold’s Cross for the betterment of their health up until the 19th Century, generally staying in lodgings. Historically, Harold’s Cross was raided in 1594 and burnt by Walter Reagh Fitzgerald. It is remembered, in the naming of Emmet St., as the hiding place of Robert Emmet after his failed rising in 1798. The population of the parish was 1,101 in 1831, more than doubling to 2,789 in 1841. Harold’s Cross was incorporated into the Rathmines Township when it was formed in 1847, becoming the Rathmines & Rathgar UDC in 1899, and amalgamated with Dublin Corporation in 1930. Politically it has never stood on its own. The land of Harold’s Cross was mostly held between the Earl of Meath and the Archbishop of Dublin in the 16th Century. Initially, the Green was commonage around which the village was located. Many of the houses initially were small cabins. The commonage also held the Archbishop of Dublin’s gallows. Two rivers ran through the village, the Poddle along the line of the Kimmage Road toward the city, and the Swan which had a parallel path but turned south and followed what is now Leinster Road toward Rathmines. Both are now mostly culverted. The presence of the Poddle encouraged milling and Joseph Archer’s in his Statistical Survey of Co. Dublin, in 1801, lists eight mills in Harold’s Cross, for various manufacturing purposes, paper, flour, corn, wire, etc. Later a number of large houses were constructed to the around the green, mostly with the appendage of ‘Mount’, reflecting the parish’s considered high position, and their names are remembered today but no longer as houses; Mount Argus, (church and monastery) Mount Jerome (cemetery), Greenmount House (the Hospice), Mount Harold (the Catholic Church) and Mount Drummond and Mount Tallant (Housing). The remainder of the village lands were farmed with two orchards, one small one called Madgin’s Farm, where the Casimir Road/Avenue area was built, and a larger one called Buckley’s Farm where the Poor Clare’s’ and Mount Drummond are now. 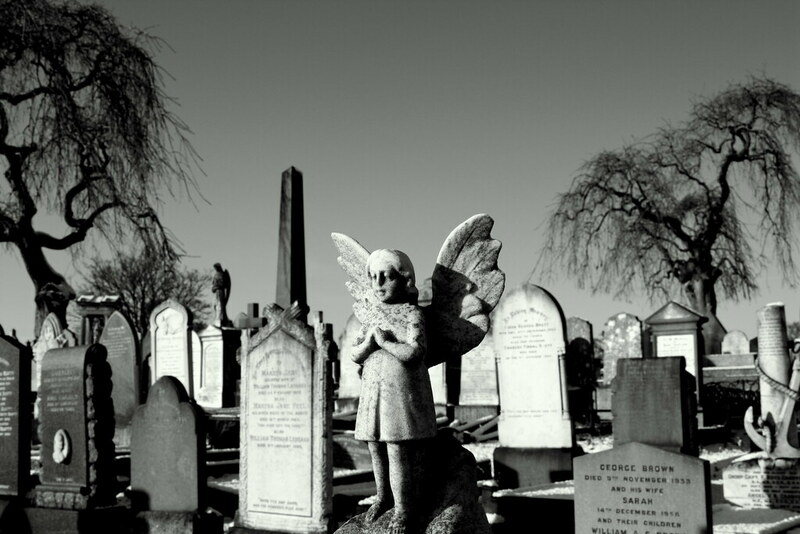 Mount Jerome was opened in 1836 as a Protestant cemetery, accepting all religions from the time of the Spanish Flu epidemic after the First World War. 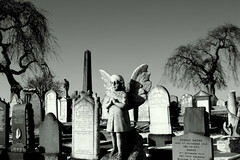 There is a small enclosed section near the entrance but outside the cemetery walls reserved for those who were Muslims. The original house partially remains, having its upper floor removed, and is used as the cemetery office. 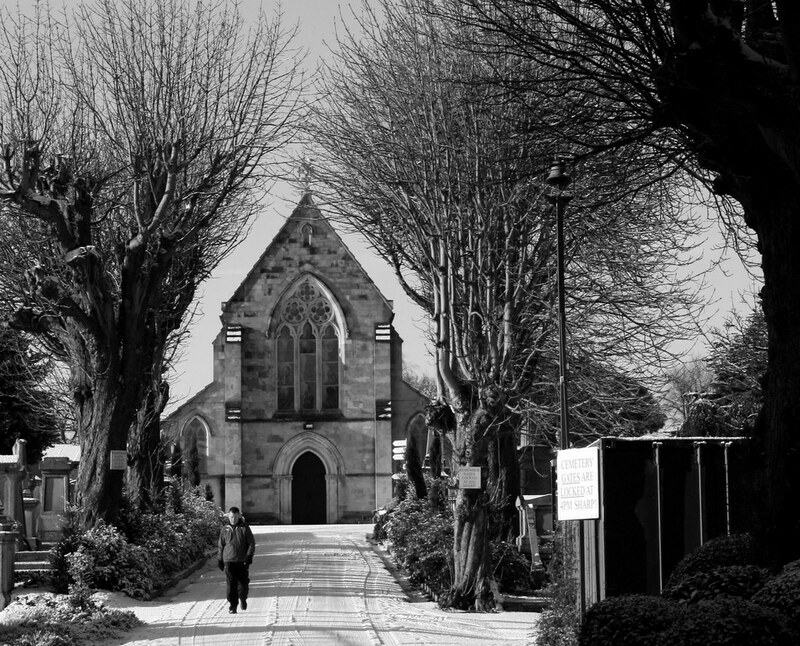 A Protestant chapel had been built in the cemetery now used for all services. Amongst those buried there are John Millington Synge, Jack B. Yeats, William Wilde, father of Oscar Wilde, many of the Guinness family, and Joseph Sheridan Le Fanu. 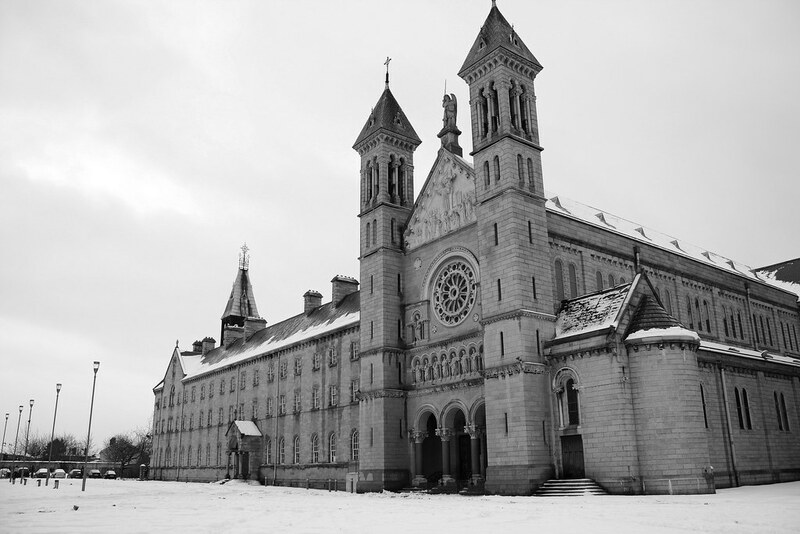 Mount Argus was bought from the widow of the previous owner, Joseph Byrne, by the Redemptorist Order in England to set up a monastery and novitiate in Dublin in 1856. Originally the used the existing three storey brick house and a single storey chapel attached but by 1878 this was replaced and subsequently extended with the existing monastery and church. The monastery has lately been sold for redevelopment and a new modern monastery is currently under construction across from the church. 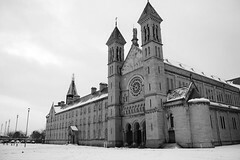 The Sisters of Charity and Mother Mary Aikenhead bought Greenmount House in 1845 after she was advised to move to the country for the good of her health and the sisters set up their motherhouse and novitiate there before it was converted to a hospice in 1879 upon the removal of the motherhouse to St. Anne’s in Milltown. The hospice has been extended (and is still extending) over a number of years. In 1804 the Poor Clare sisters from Dorset St. came to Harold’s Cross to open an orphanage. This was completed in 1806 and was called San Damiano. The building consists of an extension to a building dating from the 1700s. The orphanage closed in 1977. They also provided schooling for those in their care and the existing new school was constructed in the 1970s. Harold’s Cross was located in the Catholic parish of St Nicholas Without before becoming part of the new parish of Rathmines in 1823 and later being initiated as a parish in its own right in 1935. The new parish church was built in 1938 on the lands of Mount Harold House and the ground floor of the original house remains as the parochial hall. In the civil parish of St. Catherine, the Church of Ireland church located beside the gate to Mount Jerome Cemetery was erected in 1838 as an Episcopal Church before returning to the Church of Ireland in 1903. It is was deconsecrated in 2001 and now acts as a Russian Orthodox Church since 2003.